If you’re new to Touch Mobile “TM” network and wanted to share a load to your friends or to another mobile number, you can quickly do it via SMS and USSD code menu. We all know that pasaload is very important service to any network as it gives the subscribers to reload their account where there’s no loading station or retailer near on your current location. With TM you can also share a text and internet promo (e.g. GoSURF and Sulitixt5) to fellow prepaid Touch Mobile subscribers, Globe and Tattoo SIM card users. First, we will guide on the quickest way to share a load in TM via SMS or text message. All pasaload steps are chargeable by P1 load per successful transaction. 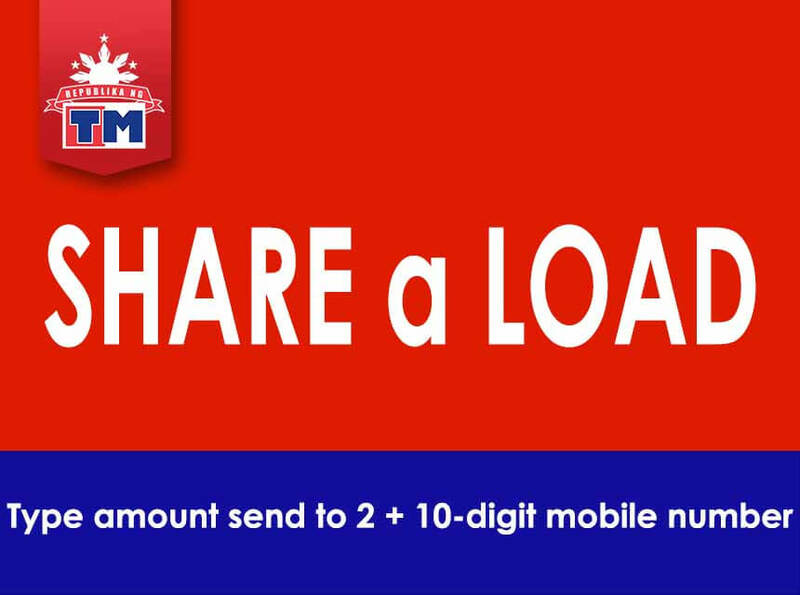 Just follow the correct format on how to share a load in TM below. Wait for the confirmation, then reply YES. Dial *143#, then press call or send. For share a load, input the amount. For Share a Promo, select a promo you want to send and for Share MBs, type consumable amount of data. Input the 10-digit mobile number of the load recipient. For share a promo, you can send to Globe, TM and Tattoo number. Wait for the confirmation message to proceed with the successful transaction. Do note that share-a-load amount and promo you received has an expiry date, be sure to use it before the expiration date indicated on the SMS notification. The use of PIN is for security purpose, you can make use of it to secure every pasaload transaction using your mobile number. You can also find these steps in your SIM guide manual.